There’s obviously a close connection to BMW’s 3 Series sedans and 4 Series coupes, with the latter being spun off as its own line in 2013. We just saw the all-new 3 Series debut yesterday at the Paris Motor Show, but that doesn’t mean the next 4 Series will be a carbon-copy with two fewer doors. That holds especially true for this droptop model, spied once again with a thick layer of camo wrap. This time around, however, photographers managed to get all kinds of shots, including some rather close angles of the front clip. 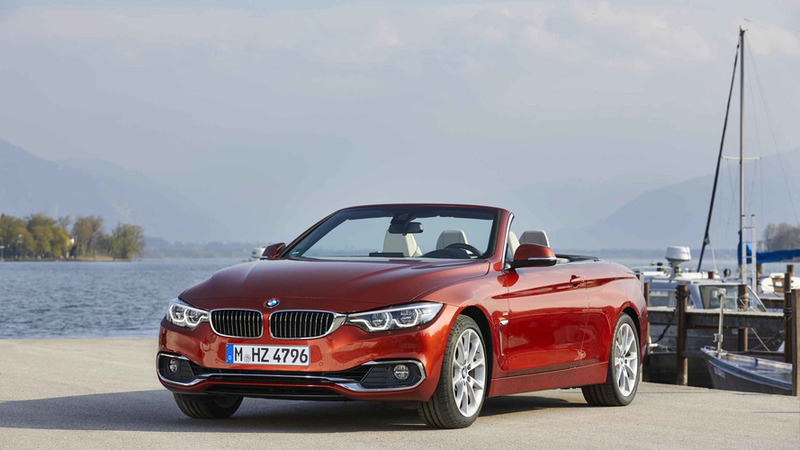 That extra effort shows us something interesting – a grille that appears to resemble the Z4 as opposed to the 3 Series. The Z4’s distinctive grille pattern is clearly visible, though the tight camo wrap is effective at hiding other details. 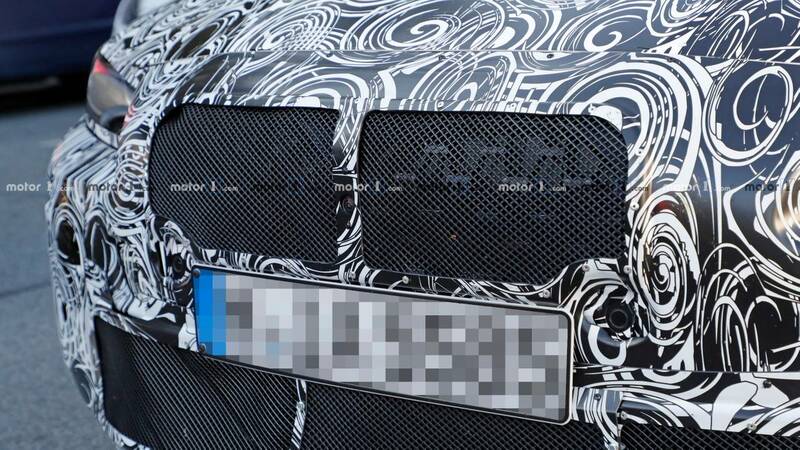 It’s also possible the grille is a clever placeholder, though our spider sense tells us it could be a production component. 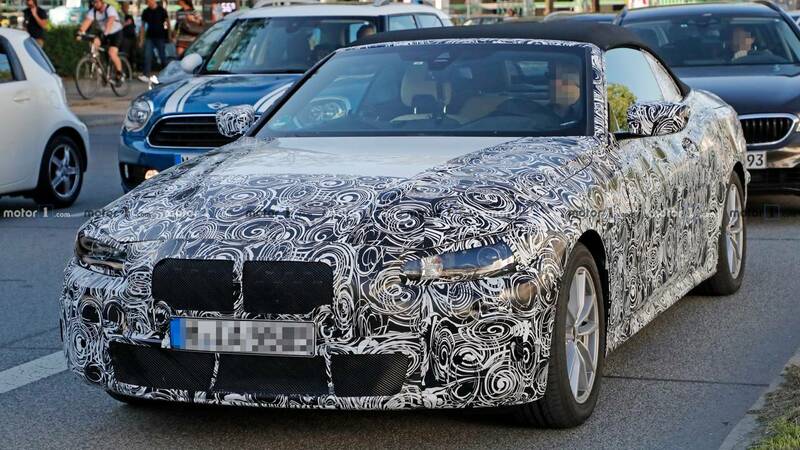 We already know the 4 Series convertible will ride on the same CLAR platform underpinning the new 3 Series, and as such we expect overall dimensions to be the same. That also means a potentially substantial weight reduction is coming, and not just due to the switch from a retractable hard top to a lighter soft top. The 3 Series shed weight despite growing in size, and there’s every reason to believe the next 4 Series could enjoy a similar drop. Under the hood we expect BMW will offer an engine lineup similar to the new 3, which includes a turbocharged 2.0-liter four-pot good for 255 horsepower (190 kilowatts) and a boosted 3.0-liter inline-six making 382 hp (285 kW) for U.S. spec models. 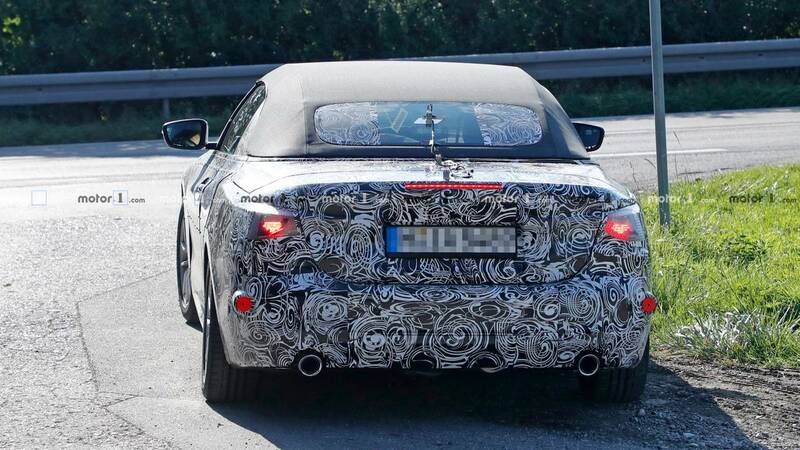 There are also rumors a plug-in hybrid version of the ragtop could surface down the road. 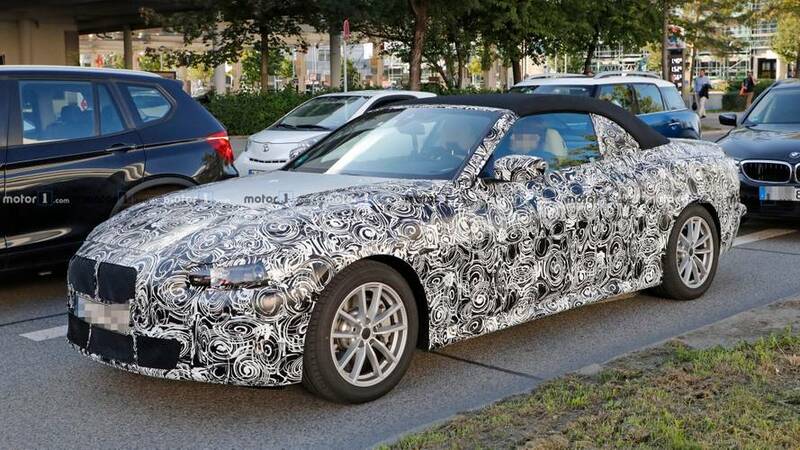 Even though we just saw the new 3 Series, we still don’t expect to see the 4 Series convertible revealed until sometime next year as a 2020 model.